A prominent pediatrician and medical researcher in the Philippines has been indicted over the failed—and many say premature—introduction of Dengvaxia, a vaccine against dengue that was yanked from the Philippine market in 2017 because of safety issues. If convicted of accusations leveled at her by the national Department of Justice (DOJ), Rose Capeding, 63, former head of the dengue department of the Research Institute for Tropical Medicine (RITM) here, could face up to 48 years in prison. In February, prosecutors concluded there is probable cause to indict Capeding and 19 others for “reckless imprudence resulting [in] homicide,” because they “facilitated, with undue haste,” Dengvaxia’s approval and its rollout among Philippine schoolchildren. Capeding, through her family, declined to comment, but her son Juhani Capeding says his mother “couldn’t have imagined” that submitting research to top medical journals could have led to “this point.” Some of Capeding’s colleagues agree. “As a scientist, I really feel so disgusted, dismayed, [and] heartbroken about the whole situation,” says Lulu Bravo, executive director of the Philippine Foundation for Vaccination here. NIH Guidelines have been updated to reflect changes to guidelines and the RAC has been renamed the Novel and Exceptional Technology and Research Advisory Committee (NExTRAC). On August 16, 2018, the NIH Director issued a statement describing a proposal to streamline the federal framework for oversight of gene therapy. This proposal, which was developed in conjunction with the Food and Drug Administration, included amending the NIH Guidelines for Research Involving Recombinant or Synthetic Nucleic Acid Molecules (NIH Guidelines) to eliminate duplicative review and reporting requirements for human gene transfer protocols. The statement also describes NIH’s effort to refocus the role of the NIH Recombinant DNA Advisory Committee (RAC) to be closer to its original mandate – a transparent forum for science, safety, and ethics of emerging biotechnologies. After a 60-day public comment period, the NIH Guidelines have been updated to reflect these changes and the RAC has been renamed the Novel and Exceptional Technology and Research Advisory Committee (NExTRAC). BUTEMBO, Congo (AP) — Doctors at the epicenter of Congo’s Ebola crisis are threatening to go on strike indefinitely if health workers are attacked again. The march on Wednesday comes after a Cameroon national working for the World Health Organization was killed last week on assignment in eastern Congo. Dr. Kalima Nzanzu said he wants residents to know that the doctors and other medical staff are in eastern Congo to help fight the current Ebola outbreak. He urged government authorities to provide greater security for the Ebola response. “Speaking one’s mind” is getting literal: A device that detects electrical signals in the brain’s speech-producing regions created synthetic speech good enough for listeners to mostly understand complex sentences, University of California, San Francisco, scientists reported on Wednesday. Listeners missed about 30 percent of the words in the synthetic speech, such as hearing “rabbit” when the computer said “rodent,” and misunderstood some sentences with uncommon words (“At twilight on the twelfth day we’ll have Chablis”) as comically as if they’d arrived via tin can and string. The synthetic speech was nevertheless clear enough to raise hopes that a brain-computer interface might one day give voice to people who have none due to stroke, ALS, or other brain damage. That possibility comes with lots of caveats, however, starting with the need to open up the brain to place electrodes on it. 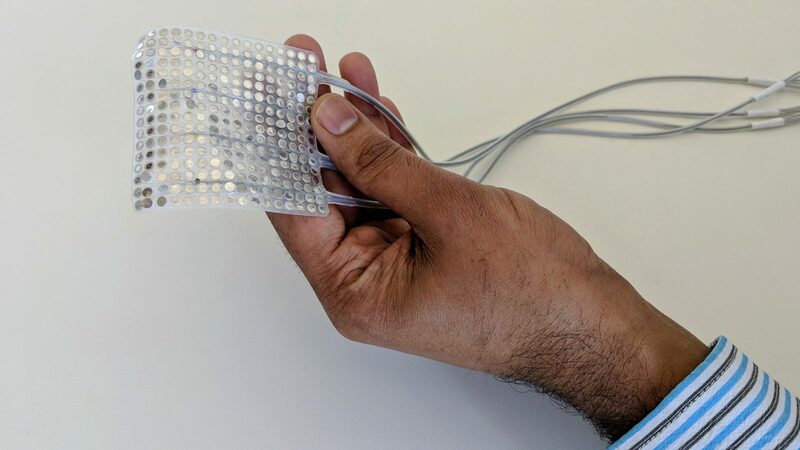 “That’s a heck of a constraint,” said neuroscientist Marcel Just of Carnegie Mellon University, who is developing noninvasive systems to try to detect thoughts. Our Nancy Kass writes, ” Open science promises considerable ethical good: speeding up medical discovery, avoiding unnecessary duplication, creating efficiencies, and encouraging more democratic science….But leaving discussions of ethics and open science simply to the good that can come and the need for privacy protections is concerningly narrow. 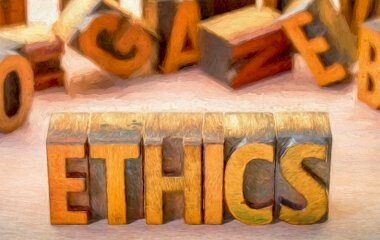 Ethics is an essential consideration for any research initiative that collects, uses, or reuses human data or samples. In data activities of these types, ethics concerns — whether raised by institutional review boards (IRBs) tasked with reviewing projects, or in the published literature — seem to focus almost entirely on questions of adequate privacy practices and security protections. Questions are raised about what fields are kept, what permissions have been provided for future access, and whether potential participants have adequately understood relevant parameters. And yet considerations of ethics go beyond who gives permission for or has access to individuals’ data. Open science promises considerable ethical good: speeding up medical discovery, avoiding unnecessary duplication, creating efficiencies, and encouraging more democratic science. These are unquestionably ethical goods. But leaving discussions of ethics and open science simply to the good that can come and the need for privacy protections is concerningly narrow. Open-science projects should also actively evaluate how the potential benefit of helping others actually will be realized, and what they can build into their structures to increase the chance that this will occur. Will open science simply allow users to do what they want with data as long as those whose data are included have been informed that the data will be widely shared? Or will the ethics of open-science support work to help ensure that goals, such as benefit and fairness, are more likely to be realized? There has been significant growth in international collaborative research implemented in Sub-Saharan Africa over the past three decades – funded mainly by the United States, United Kingdom, Germany, Japan and other nations. This growth has in part led to debates about the ethics of some of the research. 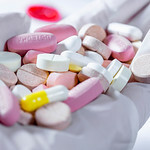 For example, during the late 1990s there were serious debates regarding use of placebos in research on HIV treatment when treatment outcomes were already known. Some commentators accused researchers from rich countries of using poor African countries to conduct research which they could not conduct in their own countries due to the stringent protections already in place. Additionally, several papers described the weak research oversight systems in several African countries. In response, several research ethics capacity development programmes were initiated across Sub-Saharan Africa with the support of the World Health Organization, US National Institutes of Health, Wellcome Trust, Erasmus Mundus programme, pharmaceutical companies and others. 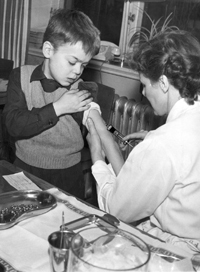 Since the turn of the 20th century, mandatory vaccination has been one of America’s greatest weapons in not only battling outbreaks and eradicating certain diseases, but also preventing them. Though not without significant pushback from anti-vaxxers, who have been in the U.S. just as long. That’s why to medical historians and ethicists, the controversy playing out over New York City’s mandatory vaccination order as the city battles a widespread measles outbreak is not an unfamiliar story. In fact, while anti-vaxxers are in the minority today—nationally, the median vaccine refusal rate among families with children in kindergarten is 2.2 percent—those who emerged in the late 19th century were fairly influential in loosening those laws. New York City has seen 359 cases of measles since last October. Almost all are concentrated in Williamsburg, and involve unvaccinated children under 18. A little more than 300 were reported this year, accounting for almost half of the 626 cases in the U.S.—currently the second biggest outbreak since 2000, when measles was declared eliminated (meaning no continuous transmission for more than 12 months). The largest outbreak in the U.S. was in 2014, with 667 cases. Globally, there is a resurgence of measles, with cases up 300 percent since last year, according to UNICEF. Biotech companies aren’t just inventing dazzling new treatments. They’re also getting creative about how to charge for them. Bluebird Bio, a Boston-based firm that’s developing a gene therapy to cure the inherited blood disorder thalassemia, announced in January that it would divide its yet-to-be-released price into five yearly installment payments. The company estimates the value of the treatment at $2.1 million a patient, and hints that the price will be “considerably below” to “just below” that figure. After covering the first installment, the insurer can wait to see if a patient improves before continuing to pay. Bluebird is one of a handful of biotech firms that are trying to soften the sticker shock of new drugs and devices so that more insurance companies will agree to cover them. The premise: The insurers pay only if the drugs work.